What are you truly thankful for? No, this isn't just some sort of out-of-season, Thanksgiving-style, stint of curiosity; it's a prompt for getting you thinking about keeping a gratitude journal. As we go through our daily motions and replace the old with the new, it's easy to fall into the trap of focusing on the bad things in life while taking the good things for granted. However, if you stop for just a couple of times each week to jot down why you really appreciate having certain things in your life, then you'll learn to treasure these things more when you encounter them. This keeps your focus on the positive aspects of your life and puts you on the road to being a happier, healthier, and more optimistic person! A gratitude journal is a record of things that you personally appreciate or are thankful for in your life. It can include analyses of why you are grateful for particular things, why certain good things happen to you, or how you express gratitude towards others. Overall, it helps you look on the bright side of life. A gratitude diary is similar to a prayer journal, and can be used as an accompaniment to one, or as a substitute for one, if you wish. You can use what you're grateful for to inform your prayers of thanks, or you can pray for what you want to happen, and then express gratitude if your prayers come true. If you want to go even further, you can add a bible journal into the mix, too. 1. It helps you get your priorities straight. So often in life, we end up doing things because we convince ourselves that we have to. Other times, we simply decide that we like doing things without really thinking about why. Keeping a record of things that you're truly grateful for helps you figure out what really matters to you, and what you should spend your time and energy on. 2. It helps you correct your perspective when it's skewed. We've all had times where we've felt like nothing has gone right and the world is against us. Keeping a gratitude journal can help you get through rough patches. By looking back on things that you've appreciated in the past (and likely are still thankful for), you can begin to see that things aren't as bad as they seem, and that you have people and things that can give you the strength to see you through the toughest of days. 3. It helps you be a more optimistic person. It's easy to think that things are worse than they are with how much negative news is flying around out there. However, if you occasionally remind yourself of good things that you're thankful for, it will be easier to see the silver lining in many situations. And being more optimistic and happy can have several health benefits, such as less stress, better sleep patterns, a healthier immune system, more energy and focus – the list goes on and on! 1. Take a look at yourself first. One of the easiest ways to find things to be thankful for is to look at yourself in the mirror. What do you like about yourself? Your strength? Your smarts? Your agility? Your good looks? Is there a particular skill that you're proud to be proficient at, such as cooking, talking to people, working with computers, or playing sports? This is not only a simple way to find things to be grateful for, but it also makes you feel good about yourself. 2. Ask yourself: "What if I didn't have that in my life?" If you're having trouble determining why – or if – you appreciate certain things, try flipping the script. Instead, think about how your life would be different if you had to live without what you claim to be grateful for. Deciding what you could or couldn't live without in this way can make it easier to figure out what you're truly thankful for, and why. 3. Zero in on a pleasant surprise. A great way to start a gratitude diary is to think about the last time something unexpected happened to you, but ended up having a positive outcome. Surprises often cause us to have strong emotional reactions, including potentially those of gratitude if the situation works out in our favour. Writing down unexpected experiences is also a good way to break up the monotony of life's routines, so feel free to keep doing so as you write your journal! 4. Focus on good deeds – even if they aren't your own. You can also start your journal by thinking about great things you see being done in the world – even if they aren’t done towards you.Does it warm your heart when someone gives up their seat on a bus to accommodate someone with a walking cane, wheelchair, or stroller? Or does it make you smile inside when you see someone clearing snow from driveways and sidewalks other than their own? Being thankful for other people's acts of compassion can spur you to do more good deeds yourself! 5. Remember that challenges can be things to be thankful for, too. Most people would rather forget the hard times they've had in life, or difficult people whom they've had to deal with. But, again, think about how your life would be different if you hadn't been faced with those situations or people. Would you have missed learning a valuable lesson? Would you not have had a chance to develop a part of your identity that you're proud of (e.g. fitness, mental stamina, sociability, creativity)? Looking for opportunities for personal growth when you're tested, as well as looking for positive traits in people whom you're otherwise not very fond of, can help you have a more optimistic outlook on life. 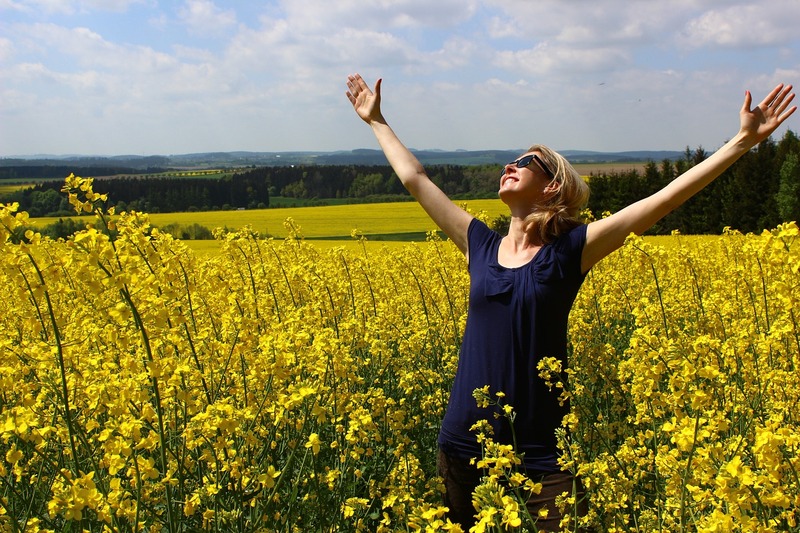 A common pitfall for gratitude-chronicling newcomers is writing in their diaries too often. 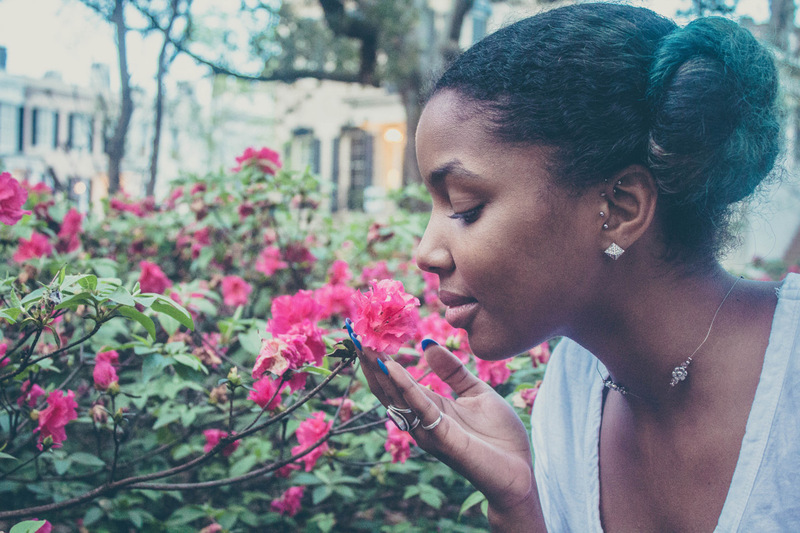 While this may sound counter-intuitive, studies have shown that people who jot down things they're grateful for daily (or even semi-daily) often come to view gratitude as simply an emotion to document. As a result, they may start to take positive events for granted, which doesn't help make them happier or more grateful. A better strategy is to only write entries up to three times a week, at maximum. That way, you're likely to more deeply treasure the things that you're thankful for, which can cause you to see gratitude as something positive that you want to actively seek out and feel. That leads to greater overall happiness, which is what you want your diary to do for you. 2. ...But still make a commitment. Once you've decided on how many times per week you're going to write in your journal, stick to at least that number. You may even want to select a specific time to write. For example, many people like to jot down what they're thankful for right before they go to bed; this lets them go to bed happy, so they can have a better sleep and more pleasant dreams. Sticking to a particular time also helps you build up your willpower and self-discipline. 3. Be prepared for the unexpected, too! Just because you've set a particular time and/or number of times per week to write in your diary doesn't mean that you shouldn't take it with you when you're out and about. If you have a smart phone powered by the Google Android devices and Apple iOS operating systems, this is simply a matter of downloading and installing the Penzu mobile app, and then logging into your Penzu account. You never know – you could end up in a really fortunate situation that you want to write about right away! If you have your journal on hand, you can jot down the experience immediately without having to worry about trying to remember it later, which will likely be more difficult. Another common mistake that rookie gratitude-trackers make is that they set a minimum number of things to be thankful for each time they write an entry in their diary. Depending on your life experiences, there are some weeks where you're going to be grateful for a lot, while other weeks you won't appreciate too many things. Either way, what's more important is why you appreciate the things that you do. Really diving into why you are thankful for a few specific things increases your happiness and gratitude more than simply stating that you're grateful for a certain number of things without really thinking about why. 5. Make it more personal as you go along. When you first begin documenting what you are grateful for, you might list inanimate objects and abstract concepts. This is fine to start, but as you get better at expressing your gratitude in writing, aim to change the targets of your appreciation to other people (or maybe even pets, too). One reason for this is that it's not that much of a stretch to transfer your gratitude from feelings and ideas to the people who actually live them out (which is likely why you appreciate them to begin with). Another reason is that people can actually return the feelings of gratitude that you express towards them – something that abstractions and non-living things can't do – which makes doing so much more rewarding! 6. Don't just think it or write it; act on it! One of the biggest blunders that you can make when keeping a gratitude diary is thinking that simply writing down what you are thankful for (and why) will, in and of itself, make you happier and more grateful. This is part of why we cautioned you against writing in your diary too often: what you don't want to happen is to have the act of recording your feelings of gratitude become more important than experiencing and expressing more profound appreciation. In other words, don't just write down what you're thankful for because you think that you should or that it's somehow inherently good for you. Remember that you're doing it because you actively want to increase your happiness and gratitude. And remember that part of this is actually showing the people that you appreciate that you're grateful to them, not just keeping your thoughts and feelings locked inside a logbook that nobody other than you can see! Our experiences in life are all different, so it should come as little surprise that we each have different things to be grateful for. Some of us appreciate grand concepts, while others are thankful for small displays of wonder and beauty. It therefore also shouldn't be surprising that we organize our thoughts in different ways. Here are a couple of samples of how people have kept gratitude diaries. Oprah Winfrey on her gratitude journal – a short video with the queen of daytime television talking about the importance of keeping a gratitude diary (for sixteen years!) to her life. She writes in it a little more often than we recommended (because she's Oprah), but she does illustrate that the things you can be grateful for don't have to be big; you just have to know why they're important to you! Thnx4.org – a computer-speak play on the phrase "thanks for," this is an interesting project created by the Greater Good Science Centre at the University of California (Berkeley). It challenges people to do a "21-day gratitude challenge," writing down what they're thankful for every other day for three weeks (again, this is a bit more than we recommend). During that time, participants also note their general mood in each entry so that, by the end of the challenge, they can really see the difference in how being more grateful makes them happier and healthier! Participants can keep their journal entries private if they want, but many choose to share their feelings of appreciation on the Thnx4 public feed! The Gratitude Journal – written by Shelly, this is a more spiritually-oriented journal, but it also includes recipes and healthy living tips! Andrea Reiser's gratitude journal – written by author, public speaker, and life coach Andrea Reiser. She sticks to writing in it once weekly and tries to write a manageable number of things to be grateful for each week, so as to better explain why she is thankful for them (well, most of the time, at least). She also mixes in some general thoughts on gratitude. As we noted, different people like to organize their thoughts – including those of gratitude – in various manners. Some like a more structured, scientific approach, while others prefer to be surrounded by prompts and just let their thoughts flow. Whatever your system is, here are a few guidelines for starting your gratitude diary. Therapist Aid gratitude journal worksheet – created by a company dedicated to providing tools to mental health professionals. Though it recommends writing at least three things to be grateful for every day, we've already covered why that might not be the best idea. It does, however, include space for writing both what you are grateful for and why you are grateful for it, which we did recommend. New Seasons Design gratitude journal – record the things you appreciate on these Thanksgiving-themed cards, designed by Jennifer & Jason Bruce and featured on Mandi Ehman's "Life Your Way" blog. I Am Thankful – created by designer and event planner Jennifer Carroll, this is a simple, open-ended journal with nature illustrations. Again, it's good for spiritual people. The next time you come home at the end of a week at work or school, try finding a piece of paper or a notebook and writing down some things that you appreciate right before you go to bed. As your journal grows, you'll be able to look back and see how good things really are in your life, which will help give you the courage to go through life with optimism and a clear perspective! 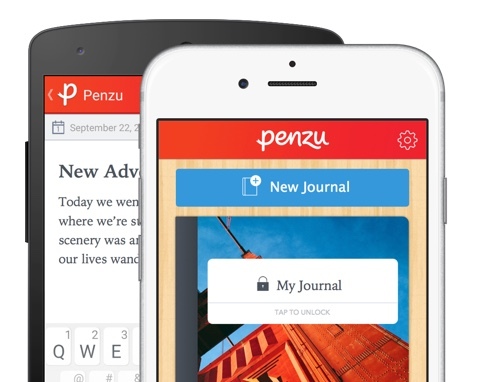 Better yet, commit to writing a gratitude journal on the Penzu website and/or mobile app. It's free, it's secure, and it's unlimited. Plus, you can get at it anywhere there's an Internet-able computer, or anywhere you take your smart phone. Start logging – and sharing – your gratitude today! There's no time like the present - start your free online dream journal today!